Be chic. Be Majestic Barriere. 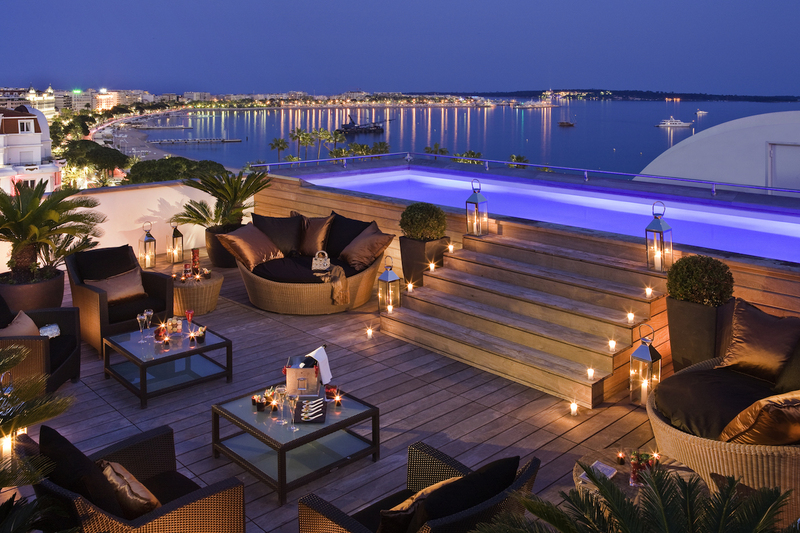 Cannes is famous for its beach and La Croisette avenue, where the Cannes’ festival takes place every year in May. Remember the red carpet and all the Hollywood stars coming to promote a movie or just to be seen – so hype. Two properties are renown to welcome these VIP guests, the Carlton and the Majestic Barriere, just in front the sea and the Palais des Festivals. After some days of reflection, I finally chose the Majestic as it is part of Barriere’s hotels, same owner as the Fouquet’s Paris where I had a perfect stay 3 years ago. I didn’t regret at all and even wonder why we didn’t come before ; location in the city is so convenient and facilities so relaxing, it went beyond my expectations for that 1-night stay. I have been particularly impressed by stylish common areas and the Deluxe Room we had, after an upgrade from a Superior Room, was really nice. 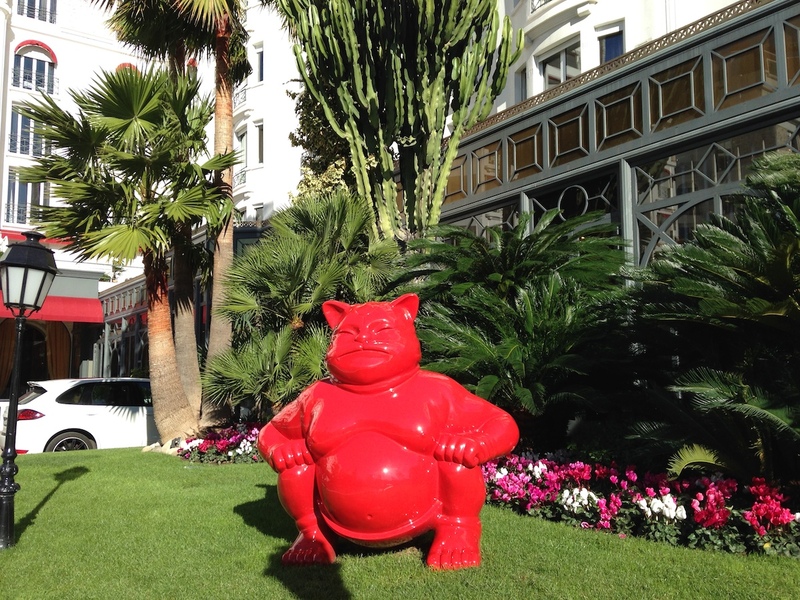 Don’t miss to enjoy dinner in their restaurant Le Fouquet’s, the place to be in Cannes ! Majestic Barrière is famous for its celebrity attractiveness, especially during Cannes’ Festival when most of all worlwide come to stay, so you can find everywhere in common areas some actors/actresses pictures taken in the hotel. It gives to the overall atmosphere a true VIP feeling, enhanced by the impressive entrance of that white-stone building and the so chic lobby with marble and daily fresh flowers. You can find a beautiful heated pool close to the main restaurant, facing La Croisette, with plenty of sunloungers ; of course the must-do in that property is to go the the private over-water pier, in Cannes’ beach straight in front of the building, where all the area is reserved for Majestic guests with hotel’s staff. Finally the last interesting part is the SPA, not as impressive as Fouquet’s Barriere Paris but still delightful with its jacuzzi, sauna and hamman ; very pleasant for a massage time. However be careful to your room package otherwise you will have to pay for most of facilities access… And it could easily double your bill ! We had a Deluxe Room with (direct) Sea View. 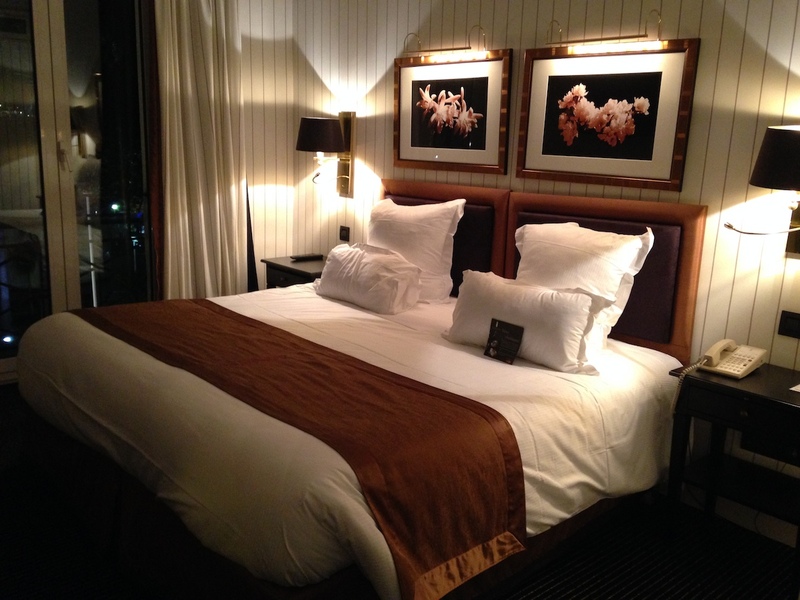 The room is quite large and seems pretty new with premium fabrics and bath products (same as Fouquet’s Paris). My only complain could be about the TV, which is quite small and setup at the top of the wall… But globally I don’t regret my choice, because even in that basic room category you have bathtube and butler service – which is mandatory for me. Both in-room dining and “Le Fouquet’s” restaurant are impressive and worse it. And what a breakfast ! Plenty of choice, fresh cooked food only and some Chefs at your disposal for any desire : french omelet, fried eggs, etc. 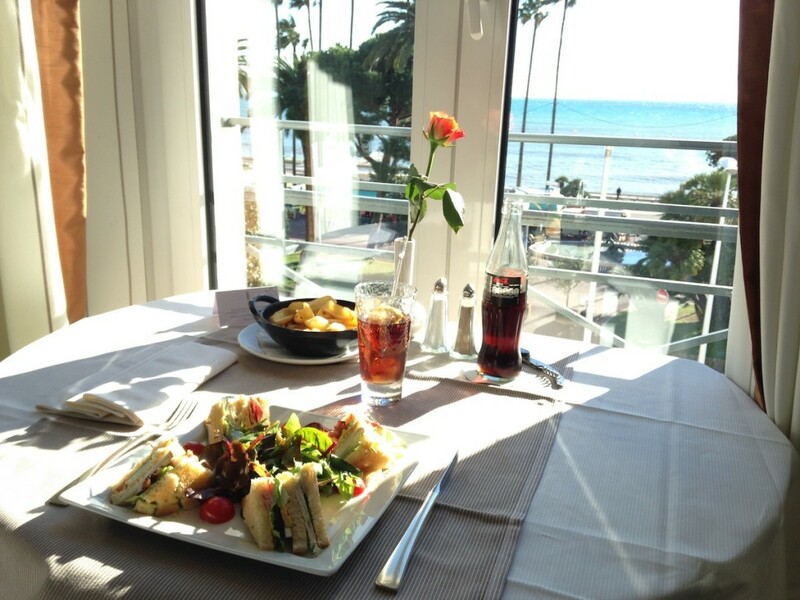 Location of this restaurant is also very nice, close to the pool area with a view over La Croisette. As usually in Barrière’s residences, service is absolutely perfect and no-fault. At the reception staff is efficient and polite, greets you by name and with special touches for Majestic first-timers : tour of the property and introduction to facilities. Then you meet your butler that brings your luggages to your room and can even help you to unpack, if requested ; this butler is available 24/24 thanks to a private phone number to answer all your needs. This is what we can call “service”, especially for 200EUR/night. The Majestic Barrière opened in 1926 and is composed of 349 guest rooms and suites. We booked a 30sqm Superior Room at 200 EUR/night and were upgraded to a Deluxe Room with Sea View which is supposed to be around 600EUR/night.